Hiperbaric designs, manufactures and markets High Pressure Processing (HPP) equipment for food industries since 1999. The company is heir of the Nicolas-Correa Group, which has more than 65 years tradition in machinery building. In the year 2002 the first Hiperbaric high pressure processing prototype was installed in Campofrío meat factory, in Spain, for the processing of export dry cured meat products. In the following years, Campofrio would become owner of three Wave 6000/300 equipment as it expanded its range of product with ready to eat meals “Vuelta y Vuelta”. 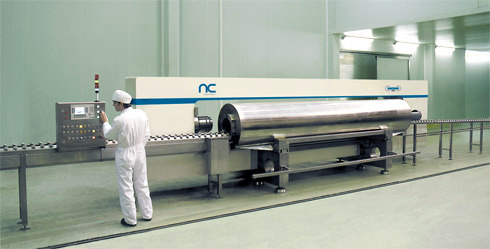 In 2003, the first Hiperbaric HPP equipment is installed outside of Spain, in Italy. In October 2004 Hiperbaric earns the “ASME VIII Division 3 Certification” that allows the company to manufacture HPP equipment for the North American market. This very same year the first Wave equipment for seafood processing is installed in Canada. In 2005, the first Hiperbaric High Pressure Processing equipment of Asia is installed in Japan, a highly exigent technological market. First installation in the USA for clean labelled (no additives) sliced meat products starts processing. Hiperbaric spins-off its mother company, Nicolas-Correa Group, and becomes part of IBP Holding. In 2006, the company enters the Spanish R&D&I macro-project “CENIT-FUTURAL” for research and development of new foods. 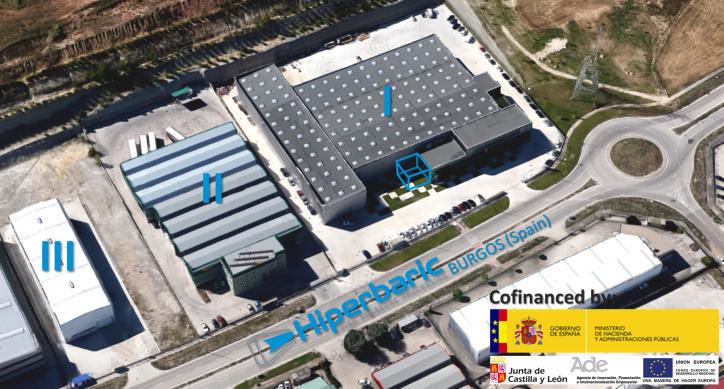 Hiperbaric wins the “FEMEBUR AWARD” as the best metal industry business project in Burgos, Spain. Equipment installed for the first time in England and New Zealand. Expansion in the USA, Canada, Italy and Japan. 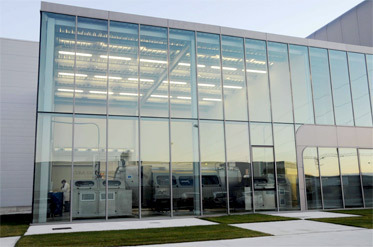 In 2007 Hiperbaric´s pilot plant in North America is inaugurated (Gridpath Solutions Inc., Ontario, Canada), equipped with a Hiperbaric 55 for customer trials and visits. First Hiperbaric installations in Australia and Peru. 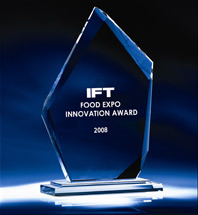 In the year 2008, Hiperbaric is awarded, during the “IFT INNOVATION AWARD” (Institute of Food Technologist) for the development of the world´s biggest and most productive HPP machine: Hiperbaric 420. As well, the company is selected by the Massachusetts Institute of Technology (MIT) and the Spanish International Commerce Institute (ICEX) ) as a model technological company in Spain. Hiperbaric equipment is installed for the first time in Belgium, Netherlands, Greece and Mexico. 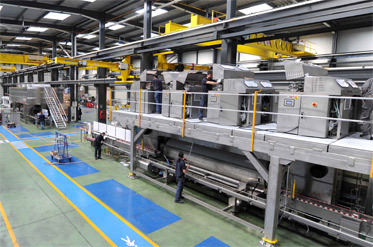 In 2009, the company inaugurates its new premises in Burgos (Spain) with manufacturing capacity of up to 50 HPP equipment per year. Two High Pressure Processing equipment are installed in China and South Korea for fruit and vegetable product processing. 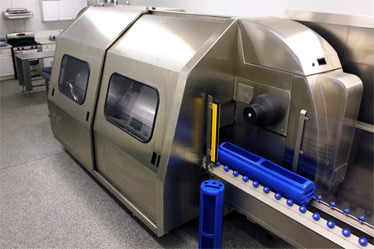 First two Hiperbaric 420 are installed in Canada to process sliced deli meats with the highest food safety standards. First Hiperbaric 55HT is installed in AZTI-Tecnalia technological centre (Bilbao, Spain) for the study and development of PATS (Pressure Assisted Thermal Sterilization) and HPS (High Pressure Sterilization) products. 2010. Hiperbaric continues its international growth. In a turnover record year, it consolidates its position as world leader in High Pressure Processing equipment for the food industry. New designs: Fully integrated range and Hiperbaric 120 equipment are successfully launched. In 2011 NC Hyperbaric S.A. changes its name and becomes Hiperbaric S.A. Hiperbaric also renews its corporative image, including a new logo. 2011 proved to be a record year in Hiperbaric high pressure processing equipment orders. Some highlights were the first installations in France and the increase in interest from the juice and beverage sector, with new products like coconut water being launched and our customer, Evolution Fresh, being bought by Starbucks. 2012. 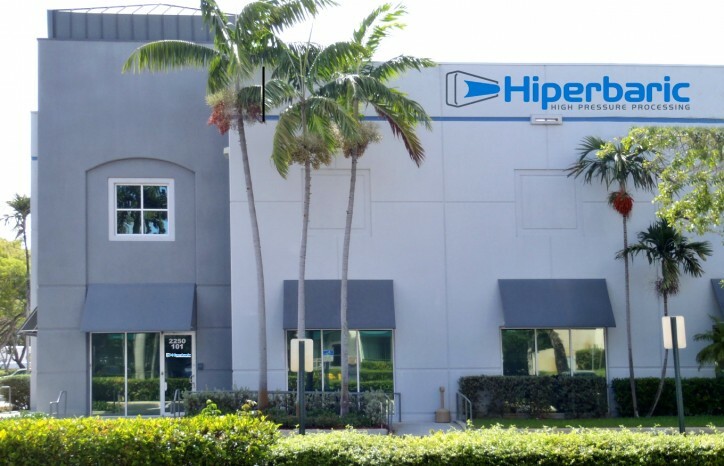 Hiperbaric USA opens its office in Miami, Florida. The high demand in our biggest markets moved our company to install ourselves in the USA to provide our customers with the best service possible. 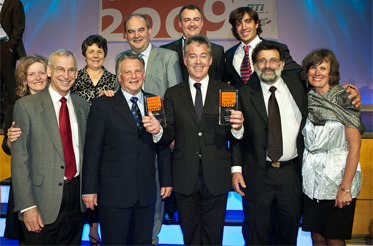 Our customer Coldpress is declared the Winner of the Best Innovator category, and finalist in the Best New Drink Brand category at the FoodBev Awards 2011. This year was a great growth year for Hiperbaric. North America keeps on driving the sales of HPP technology and the biggest unit, Hiperbaric 420 continues to clearly be the Best Seller. Hiperbaric Machine #100 is sold, 10 years after commissioning the very first one. An important milestone for the company indeed! New markets such as Thailand, Hungary or Brazil are reached. 2014 marks another record figure in sales and turnover. 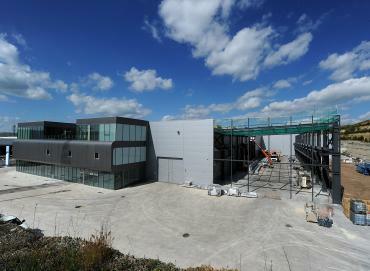 The State-of-the-art Hiperbaric factory in Burgos, Spain is expanded to cope with increasing demand. First Hiperbaric 525 units are sold. With this innovation, Hiperbaric once again offers the biggest, most productive, and most cost-effective HPP machine ever. The Year begins with the biggest-ever Order Portfolio of Hiperbaric machines to be delivered in the first quarter of the year, and as 2015 advances it is confirmed that this will be once again a historical record for the company in terms of sales and turnover. Another good sign of the potential and of the positive evolution of High Pressure Processing technology. Hiperbaric sells all the Hiperbaric 525 units that can make in the year, hence our new machine becomes the World´s Best Seller HPP system. New marketplaces such as India, Malaysia, Estonia, Dominican Republic, or Western Australia are reached. 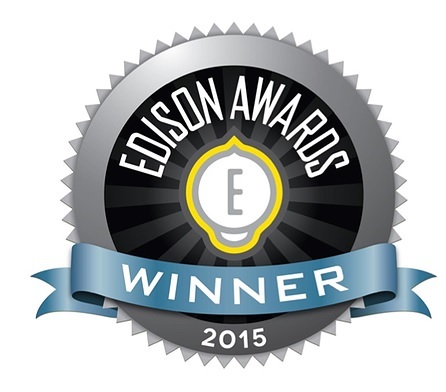 Hiperbaric obtains its highest recognition to date: the Edison Awards in the Applied Technologies category, for its innovation and its contribution to technological progress. Record-breaking turnover for the company this year, with a growth of nearly 50%. Another expansion in the pipeline. In view of present and next future growth, Hiperbaric purchases the two adjacent plots of land and starts building new facilities. Total investment will exceed € 8m. Last year, 2018, which began with great changes, has ended being a year full of success. The "High Pressure Certified" certification mark of the Cold Pressure Council was launched. Hiperbaric, as founding partner of this entity, along with other agents related to the application of high pressure in food, have created this figure to help consumers recognize HPP products and their benefits. Andrés Hernando together with other investors, bought the company and thus achieve a non-monopolized HPP machines manufacturers market. 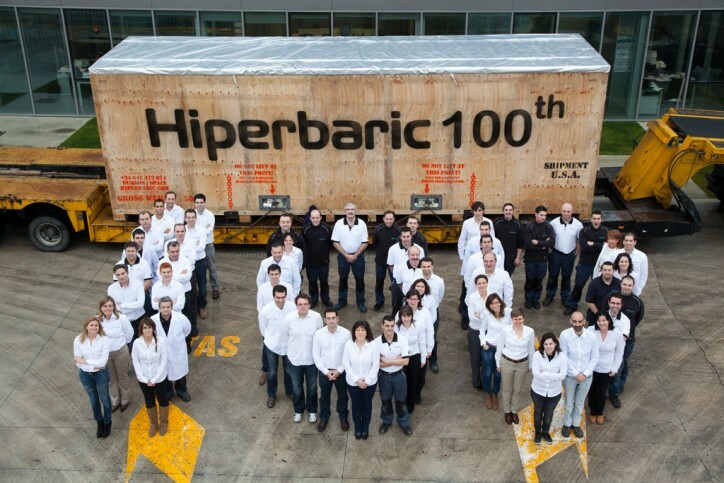 Hiperbaric stays in Burgos and keeps its global leadership. On 20 September, we present a world novelty that will completely change the way HPP beverages are processed. The In-Bulk technology is born out of the incessant work in R&D carried out by Hiperbaric. We continue to grow and, therefore, we opened two new commercial delegations in Mexico and Singapore. We want to be even closer to our customers. We received two new awards, Best Business Operation of the prestigious magazine Castilla y León Económica and Business Values of La 8 Burgos. Synergies continue to be an important aspect in our daily life, especially when we can contribute and grow together in competitiveness, that´s why it is an honour to join Cre100do and assume the Chair of Femebur.